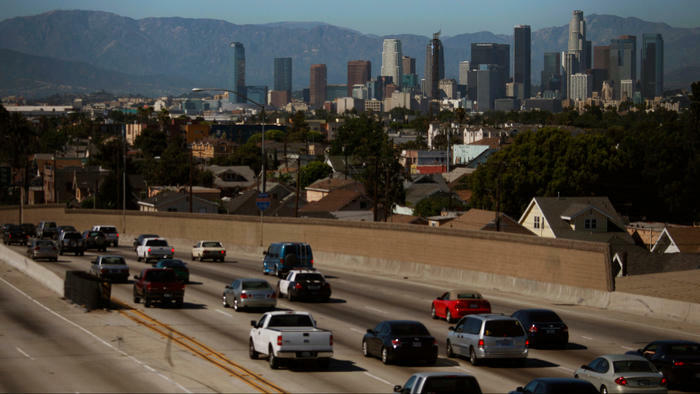 Air quality regulators are considering seeking an increase in vehicle registration fees for millions of Southern California drivers to help pay for smog reduction programs. The South Coast Air Quality Management District is burying its head in the sand though by not addressing the closure of San Onofre Nuclear Generating Station (SONGS). The amount of money they recommend to spend on an array of air pollution mitigation approaches could pay for one or two new nuclear power units. It could also easily pay for a fix at SONGS (replacement of the steam generators -- cost approximately $1 billion each for two new steam generators). Increasing annual vehicle registration fees collected from more than 10 million drivers across Los Angeles, Orange, Riverside and San Bernardino counties by $30 would generate an additional $300 million a year for pollution-reduction programs. The South Coast air district currently collects $2 per vehicle in annual registration fees through the Department of Motor Vehicles. A draft plan released in June by the South Coast district proposes cutting smog-forming emissions from cars, trucks, oil refineries, ports, logistics centers and an array of other sources largely through voluntary, “nonregulatory” measures that encourage, rather than force, polluters to adopt cleaner technology. The plan, which could go to a vote of the AQMD governing board as early as December, relies on finding $1 billion a year for emissions-cutting incentive programs — a 10- to 20-fold increase over what is spent today. The plan targets ozone, the lung-searing gas in smog that triggers asthma and other respiratory problems. Ozone reaches the nation’s highest levels in Southern California’s inland valleys and mountains. To meet a key federal deadline for reducing the pollutant, the region must slash emissions of smog-forming nitrogen oxides by 2031. To meet federal health standards, the region must cut emissions of ozone-forming nitrogen oxides to under 100 tons per day by 2031, or 55% beyond all existing regulations, from the current level of about 500 tons per day. Central to the plan is a proposal to spend $11 billion to $14 billion on emissions-cutting incentive programs over the next 15 years, a nearly 20-fold increase from the $56 million a year in incentive funds the district receives now.